Download Kit order form now ! 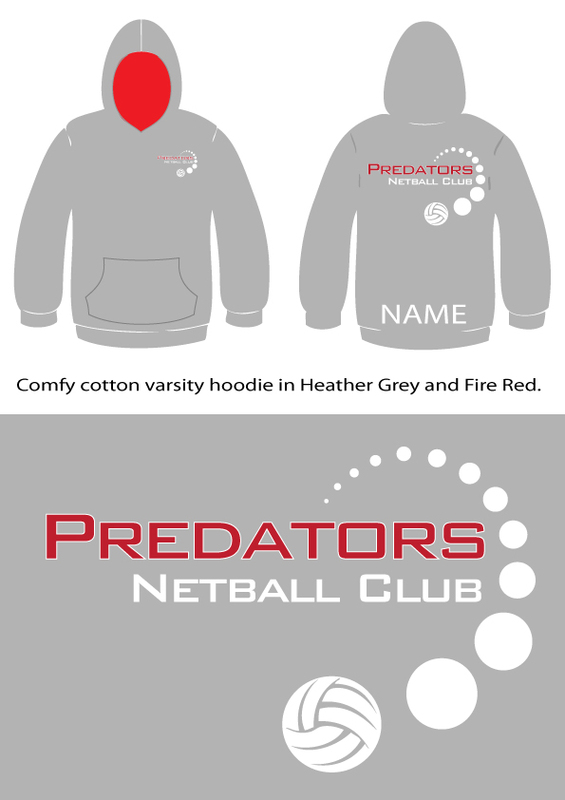 Predators playing kit is designed and made using trusted suppliers. Most kit is ordered in batches throughout the season to ensure players pay the cheapest price, so please download a Kit Order Form 2018, print off and bring to training with correct payment and we will include your order in the next batch. We also offer Hoodie’s and Training Tops through our online club shop. 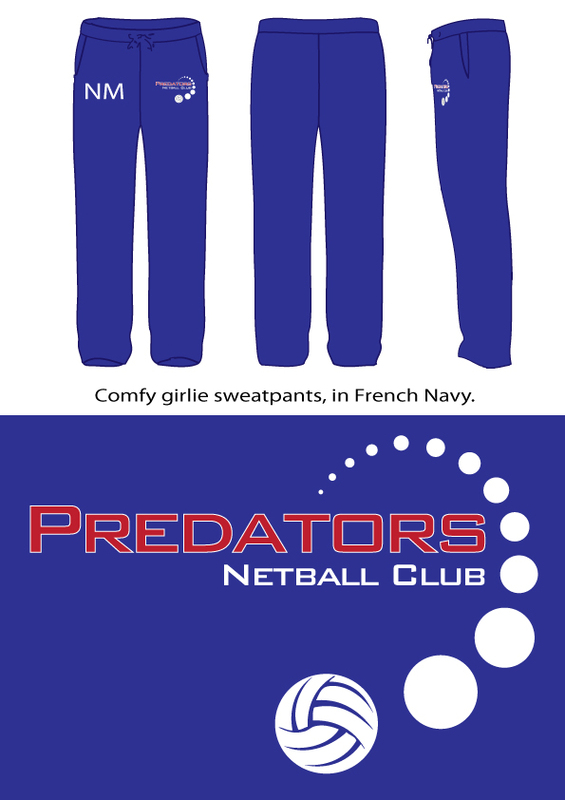 Please visit the website www.saints-screenprint.co.uk/club-shop/predators-netball-club where you can order and personalise your hoodie and top. Please see the pictures and details below. Personalised training tops are worn on training nights and over match dresses as warm up tops. Personalised hoodies for matches and warming up. Tracksuit bottoms for matches and warming up. Dresses are for match nights and are fitted with positional patches.